After a very promising start, our summer has become a rather familiar story – rainy, wet and cold. But I can definitely feel summer in the air when the bananas get ripe in the fruit basket after just two days. There are a few things I usually do with them – freeze them, disguise them as a banana milk shake or as ice cream. 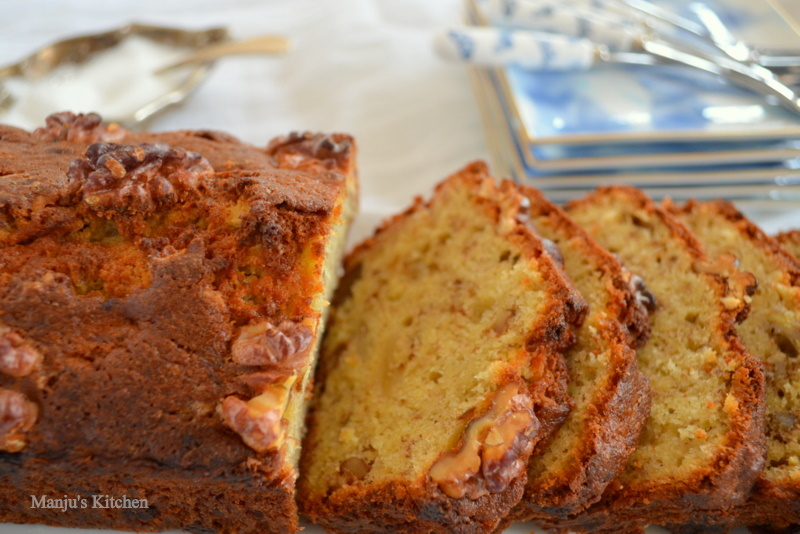 I promise to post that recipe soon…… since there was no cake at home I decided my other option, banana cake. 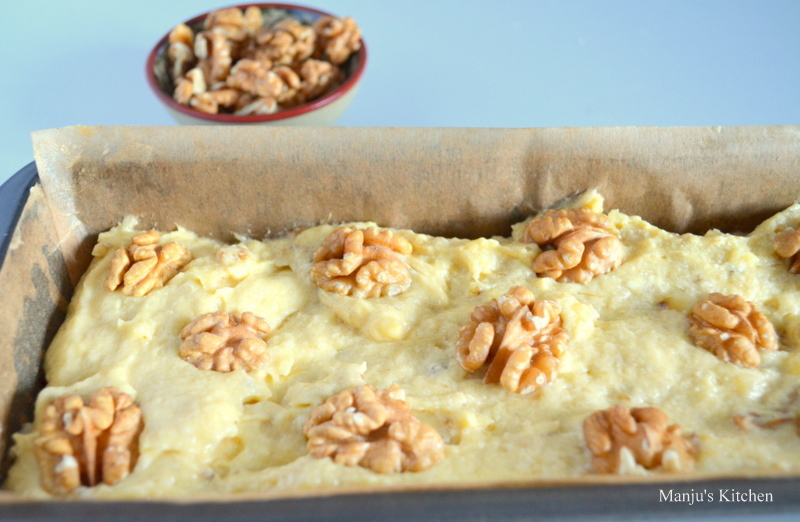 It is the kind of cake you can eat for snack or as a breakfast…very simple and wholesome. I have added walnuts for some texture but whichever nut you have in stock will do – pecans or even peanuts will go very well with bananas. Remember to keep the butter and eggs at room teperature for a while before you start to make the cake. Peel and mash the bananas with a fork, mix with lemon juice and keep aside. Chop the walnuts leaving a few to decorate on top. Line a cake tin with baking paper all around. Whisk the soft butter with sugar until creamy. 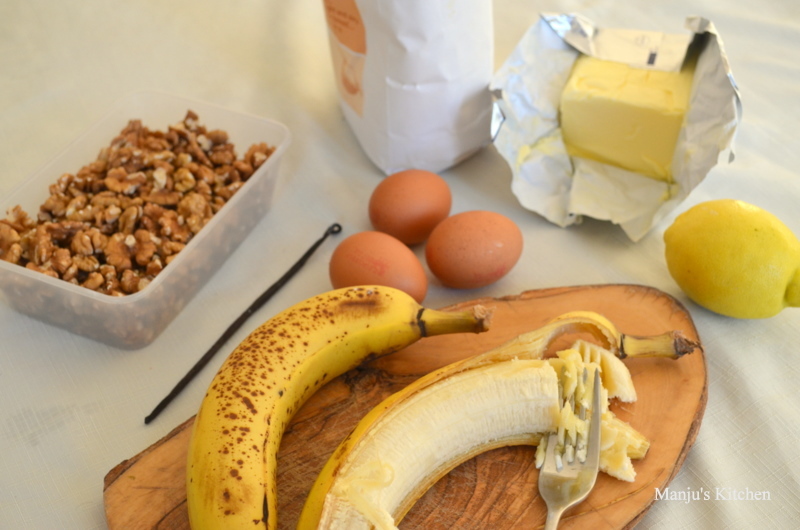 Add eggs one by one and whisk in and then add the sifted flour and mashed bananas, vanilla and chopped walnuts and fold in until well mixed. Spread into the prepared cake tin and decorate the top with walnut pieces. 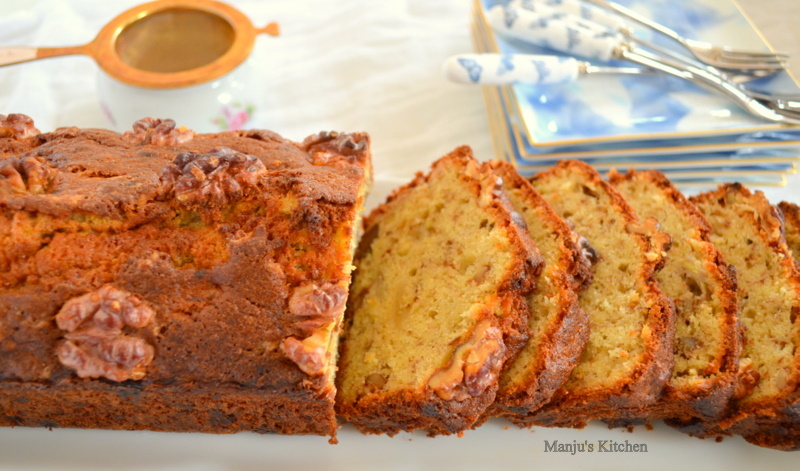 Tags : Banana cake, Banana walnut cake, Over ripe banana recipe.